Ten years will become 12 for general education students.. The new education system was developed by a working group selected through competition, 40 percent of which were teachers, the others were professors at universities, members of the center for educational reforms at the Ministry of Education and Science and also representatives of non-governmental organizations. According to this educational system secondary general education will be carried out through a three-level system: 4 years elementary school (1st to 4th grades); 5 years secondary school (5th to 9th grades); and 3 years senior school (10th to 12th grades). The complete program of reforms also includes a methodical re-training of 40,000 teachers, publishing of new textbooks, providing computers and introduction of a new evaluation system. According to the Minister of Education and Science Sergo Yeritsyan in the aspect of educational reforms Armenia is not only behind European but also CIS countries. It has been several years that Russia, Belarus or other CIS countries have passed on to a 12-year education plan. The Minister points out that one of the main advantages of this project is that the new educational system will give an opportunity to combine final school exams with entry exams at institutes of higher learning. It will also allow for a lighter load of subjects and at the same time it will add 20 percent of new subjects. According to the director of Educational Project center Karine Harutyunyan, the project will be implement by a $45 million credit allotment from World Bank. NIE director Melikyan is in favor of the changes.. The new educational system became subject to active discussions among society. 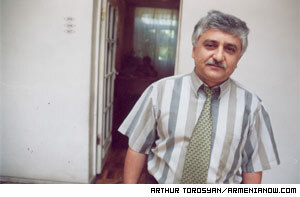 For instance, the dean of the journalism faculty at Yerevan State University, Garnik Ananyan, believes the new educational policy will lead to a weakening of the education system. And Anahit Simonyan, a teacher for 30 years, says a four-year elementary system isn’t needed, as three years are more than enough for the material provided to cover that level. Gagik Melikyan, deputy director of National Institute for Education, says objections to the new educational system initially was the lack of awareness and wrong opinions. Included in the misunderstanding was a wide-spread belief that Armenian children would start school at age 5. “All those conversations that in case of passing on to a new educational system children will go to school at the age of five, are not true. Moreover, nothing is said about it in the project,” points out Melikyan. He clarifies that the issue of 5 year-old children was touched since there was some discussion of organizing a pre-school education program, aimed to bring those children who are not attending kindergartens to the necessary level. “Not everyone can afford to take their children to kindergartens, and as a result the child comes to school unprepared,” says Melikyan. According to information of the National Statistics Service today in Armenia only 18 percent of 5-6 year-old children go to kindergartens. To fill in this gap the new educational system provides state assistance thanks to which the last kindergarten year will be free of charge. “It does not mean that kindergartens will lose their main activity which is to prepare children for school, like many people think. Simply, if now that process is carried out by communities then in case of passing to the new educational system it will be carried out through the means and with the control of Ministry of Education and Science,” adds Melikyan. A lot of attention in the project is paid to teachers’ training, re-training and re-qualification, as well as to the issue of computer usage. According to Melikyan there already is a group consisting of 40 teachers who have been re-qualified abroad and who will be teaching at the branches of the Institute for Re-Training that exist in all the regions of the republic. There also is a center for knowledge evaluation and testing, which will be carrying out both current and final school exams, which will at the same time be entry exams. According to Yeritsyan, the new evaluation method will give an opportunity to prevent corruption. To clarify society’s opinion the Armenian Sociology Association recently sponsored an opinion poll. Six hundred teachers, principles, high grade pupils and parents and 160 experts from 100 schools randomly chosen from five regions of Armenia participated in the poll. Sixty five percent were dissatisfied with what they knew about the proposed system. Forty-seven percent believe the reform is aimed at improving the quality of education. Twenty percent answered that the reform is for monetary gain of the specialists and six percent believe it is to improve personnel. Twelve percent think that reforms will lead to deterioration of the educational system. Nine percent think the number of unemployed teachers will increase as a result of reforms. According to 4.5 percent the number of schools will be cut. The topic on which there was overwhelming agreement was teacher salary: Almost 92 percent of those who took part in the poll complained of the amount of salary paid to teachers and they pointed out that it is not enough to take care of their family needs. One third of them have no choice but doing something else in addition to their main job.